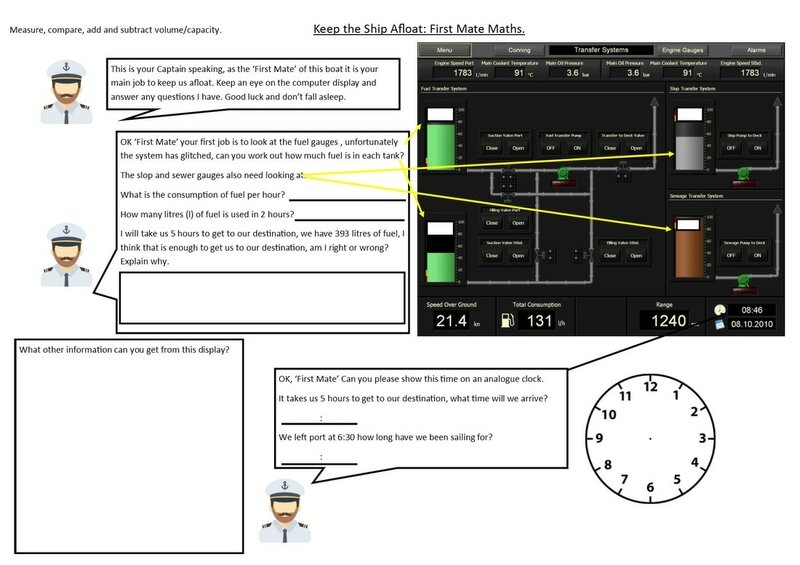 You are the 'First Mate' on a boat but unfortunately there are a few problems, you have to read the gauges and answer the Captain's questions to keep the ship from sinking. Love this infographic, can you convert the measurements to cm/mm/inches. 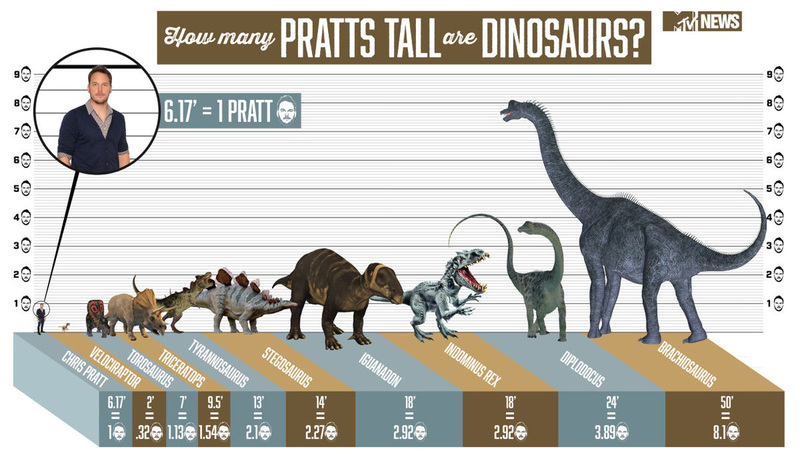 Can you work out how many Chris Pratts wide each dinosaur is? Using this can you work out how many (insert name of person from your class) tall each dinosaur is. WWTBAM - Units of Measure Quiz. Thanks to Theresa Young @treezyoung for sharing this, and because it is a Powerpoint file it can be edited to suit your class as well. Thanks Theresa. Minecraft Perimiter, Area, Volume and Angles Maths Mat. 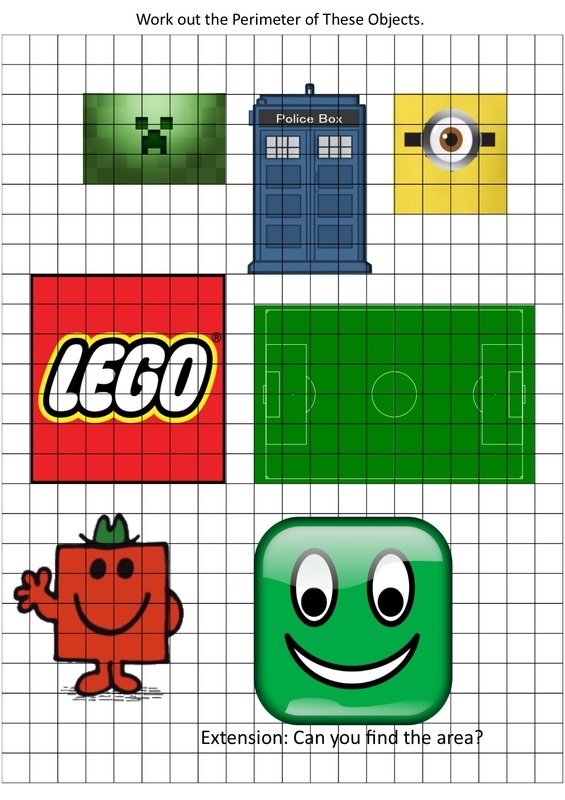 Another nifty little maths mat, this time with a Minecraft theme and Perimeter, Area, Volume and Angles covered. 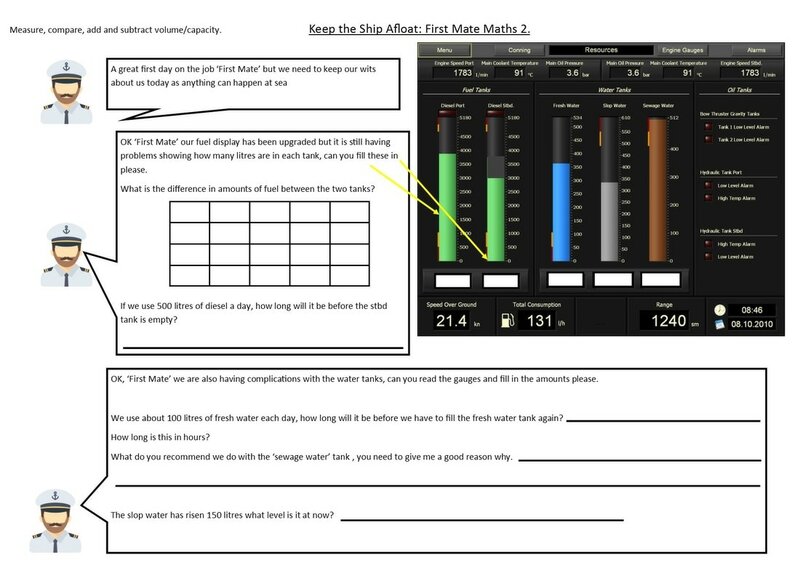 The Marvellous Maths Measuring Challenge, is just that. Children work in pairs or groups, they take a challenge card and depending on which challenge they choose to complete they earn, 1, 3 or 5 stars. The aim of the challenge is to reach 30 stars first. 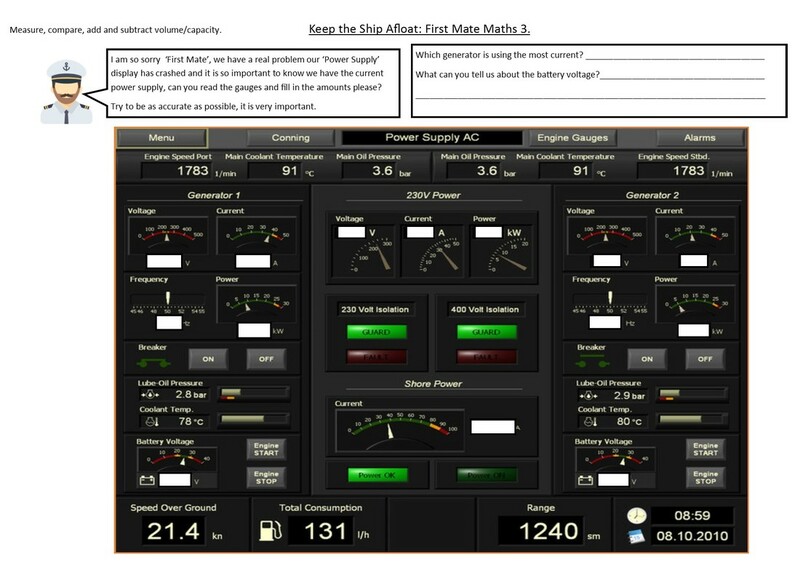 If you download the Publisher version it is fully editable and can be adapted to the needs of your children. Enjoy. 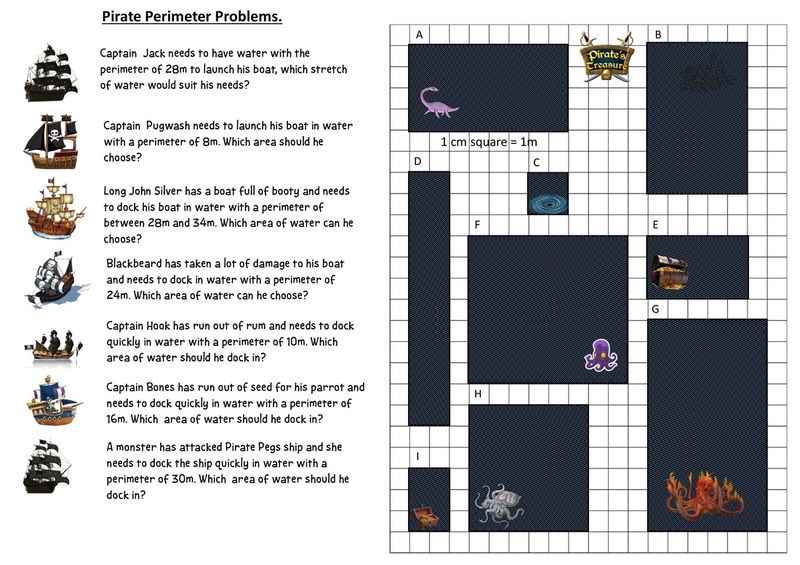 What a great set of worksheets these are, ranging in challenge from 1 to 4. Excellent for co-ordinates, calculation, perimeter, area, shape. Measuring - Centimetres and Millimetres. Thank you to http://www.lancsngfl.ac.uk/ for creating this great resource, it can also be downloaded from their site. Perimeter Easy to Find, Add Up the Lengths Around the Outside. Video of the Week: How Big is the Universe? Here are a couple of videos which look at right, acute and obtuse angles. They are both very simple but a good introduction to angles. Below are some resources for you to use. As simple song that looks at moving along the horizontal x and climbing the vertical y to find the co-ordinate. It introduces minus co-ordinates too. A really interesting video (can also be used in Science) starting with the presenter asking people to put a tennis ball at a distance from a basketball, to show the distance that the moon is from the earth. This could be a good exercise to do with students in your class before showing the distance that the presenter thinks it should be. As an extension you may want to try and work out exactly how far the tennis ball needs to be from the basketball to show a true reflection. This can be worked out by the diameter of earth is about 12700km and the distance between Earth and Moon is about 384000km (30.16 times the earth diameter), with the scale (basketball balloon about 24cm) the distance is 7,24m.